Supreme Skin uses microcurrent technology for what is now known as the ‘Lunchtime lift’. It’s because it takes about an hour to obtain a more youthful skin and their service is recently expanding. ASHEVILLE, N.C. - Jan. 5, 2015 - PRLog -- Supreme Skin at http://www.YourSupremeSkin.com - the Asheville, NC skin care salon specializes in result oriented, natural, anti-aging treatments for face and the body. They have doubled in size recently because of the demand for these treatments and also expansion of services. Microcurrent is at the heart of the treatments yielding the most dramatic changes, which are cumulative. A low level of current that mirrors the body's own natural impulses is what builds up and stores up ATP in the cells, along with collagen and elastin. 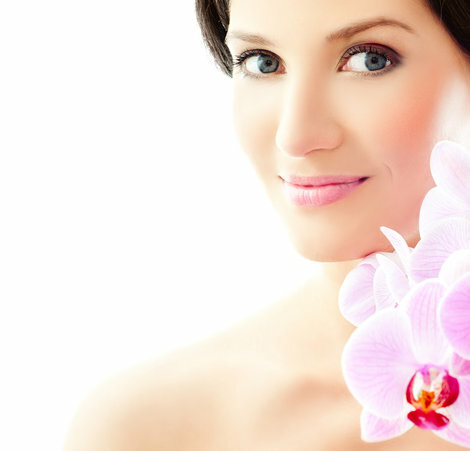 It’s a face lift of sorts that is a non-surgical, non-invasive and natural. It effectively improves the health and appearance of the skin. Treatments take about an hour and are pleasant. ATP or Adenosine Tri Phosphate is the secret behind the results of the treatment. ATP is also referred to as ‘the current of life’ at the cellular level. It is literally the energy transfer or power source that makes life itself possible in every living organism. The skin requires massive amounts of ATP to thrive, regenerate and renew itself. ATP protects the health and vitality of cells preserving and having an anti-aging effect. It can shrink pores, as it restores normal structuring in human cells and improve problematic skin. Supreme Skin has grown to be very popular, as more people are exposed to the results they get with no risk, pain or downtime. Now, microcurrent, along with microdermabrasion and oxygen infusions when used by licensed estheticians give their clients even more impressive results. Estheticians who have studied the skin and the muscular structure of the face are a must for Supreme Skin in Asheville, NC. Some chiropractors may be allowed to use this technology without having licensed estheticians because they can operate under the Doctor’s license. It’s recommended to ask if the practitioner is licensed. What takes place is that it special wands encourage the body's currents at a cellular level. It increases the production of ATP collagen and elastin. It’s restorative to the muscular structure, thus removing even deep wrinkles, toning and tightening the skin. Supreme Skin has become a skin care clinic that is very popular with locals in the Western North Carolina Area. Because ATP, collagen and elastin are what we lose as we age, by stimulating the production of them the signs of aging are greatly reduced. At the same time skin tone and elasticity are dramatically improved. These relaxing applications may be enjoyed as a one time, comprehensive facial, or in a series of treatments to reach a person’s optimal goals. “With A series”, says Carole Gardner, spokesperson for Supreme Skin, “clients will enjoy results that last with only minimal maintenance and promises to show some noticeable results in the very first session”. Now Supreme Skin is offering microcurrent in an all in one procedure with microdermabrasion and an Oxygen infusion. See https://www.youtube.com/watch?v=XFwUocJiJTQ for a short 1 minute video explaination. It’s like getting a work out at the gym for your skin, as opposed to freezing the muscles with BOTOX, which can cause muscles to atrophy from non-movement. This is why Supreme Skin at http://www.YourSupremeSkin.com has decided to expand. They want to continue to meet the needs of people in the local area who don’t want to go under the knife or have other risky or expensive procedures done. They do also service clients who have had other procedures done, but would like them maintained. They are committed to evolve as new technologies enhance their specialty which is natural, result oriented treatments for skin care.